Parliament cannot be dissolved before four and half years unless a two thirds majority passes a resolution as per the 19th Amendment to the Constitution, Constitutional Lawyer and UNP MP Dr. Jayampathy Wickramarathne said. Speaking on the same lines JVP MP Vijitha Herath said not even President Maithripala Sirisena could dissolve Parliament before February 2020 without a two thirds majority support. They made this observation in response to the call made by former President Mahinda Rajapaksa to immediately dissolve Parliament and go for a snap election. “What was concluded was an election for Local Government Authorities. Parliament was elected for a term of 5 years. “There is no tradition or precedence to say that Parliament should be dissolved when the incumbent Government suffers a loss at Local Government elections. It is not a valid claim,” Wickramaratne pointed out. He however stressed that the two main parties in the Government must take note of the election results, learn from the mistakes they have made and do a course correction. “It can be done and should be done,” he added. 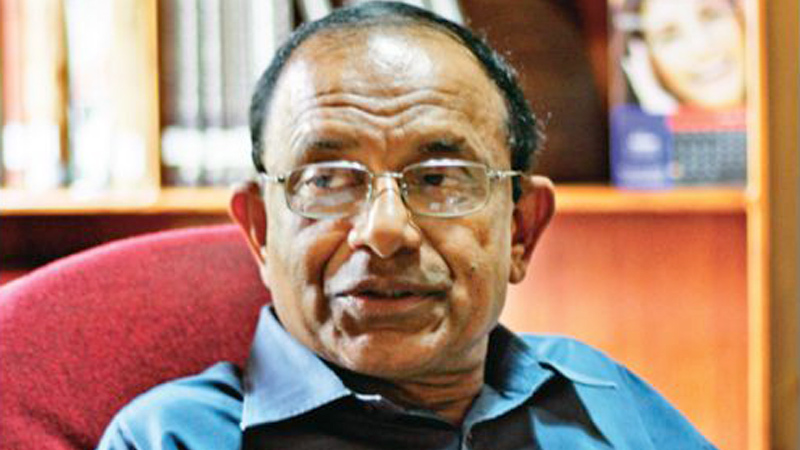 Commenting on the election results, Wickramaratne emphasized that the combined vote of the parties that are opposed to pro-Rajapaksa group still have a clear majority. “Former President Rajapaksa has got only 44.65 percent of the national vote. He cannot claim a landslide victory. His vote percentage at the last Presidential Election was 47.58 percent. The combined vote of the parties that are opposed to him is nearly 55 percent,” he said. Speaking on the same lines, MP Herath said the pro-Mahinda group has only bagged 4.9 million votes, whereas the UNP, UPFA, SLFP, TNA, JVP and the Tamil Progressive Alliance (TPA) led by Mano Ganesan which contested separately, at the LG elections, bagged a total of 6.1 million votes. “They campaigned together against Rajapaksa at the 2015 elections. Therefore, the argument that he has the majority support is not true,” he stated. Asked about former President Rajapaksa’s call to hand him over the Opposition Leader post, MP Wickramarathne said; “There are only six recognised parties in Parliament, namely the UNP, UPFA, JVP, TNA, EPDP and SLMC. The UPFA is a party in the Government. The so called Joint Opposition (JO) is not an official party as far as Parliament is concerned. The Sri Lanka Podu Jana Party (SLPP) is a party outside Parliament. It was recognised as a party for the Local Governemnt elections, but it did not contest at the last Parliamentary elections. Parliament goes by the election results of August 2015. Therefore, the JO cannot rightfully claim the Opposition Leader post,” he commented. MP Herath, buttressing this argument, said the UPFA members now in the Government must switch sides to the Opposition, if the party wants to claim the Opposition Leader’s post. “They cannot represent both the sides in Parliament. Even if the JO group withdraws from the UPFA and sits as an independent group, they will not qualify to have the Opposition Leader post as per the Parliament Standing Orders and traditions,” he added.